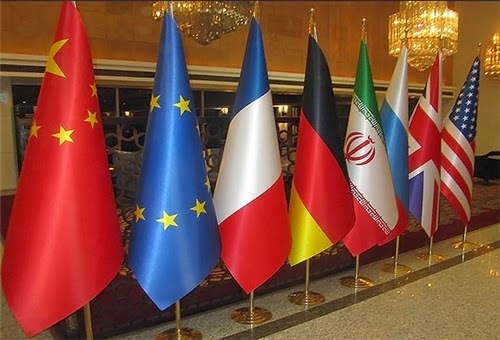 Negotiations to reach a final comprehensive agreement over Iran’s nuclear program will start Wednesday in Vienna. This would be the first time the negotiators meet since a framework agreement was announced in Lausanne on 2 April. The U.S. and Iran have offered significantly different interpretations on the agreement that was reached in Lausanne, questioning the existence of a “framework” for the talks. They would first need to reconcile the differing interpretations. First, Iran’s supreme leader wants all UN and U.S./EU sanctions to be lifted on the day a comprehensive agreement (JCPOA) is signed. Mogheini/Zarif statement and U.S. factsheet set forth specific processes for ending those sanctions. The lifting of EU/U.S. sanctions would require an IAEA’s verification that Iran has implemented its key nuclear commitments under the agreement. A process that could not possibly happen on the day the agreement is signed, unless Iran voluntarily implement all its commitments before a final agreement is signed, a highly unlikely scenario. The lifting of UN sanctions also would require a new UNSC resolution that would cancel the previous four sets of sanctions resolutions against Iran, but would continue a set of restrictive measures on Iran, including restrictions related to Iran’s ballistic missile program, modifying the existing UNSCR 1929 and its restriction on the ballistic missiles. The supreme leader said such restrictions will not be acceptable. Second, the U.S. factsheet and Mogherini/Zarif joint statement would require the implementation of the Additional Protocol. This agreement, however, would give unfettered access to IAEA to all sites, declared or undeclared by Iran, that could carry nuclear activities, including some areas within military sites. Iran’s supreme leader said such inspections of military sites would not be acceptable. Third, the supreme leader would want to maintain an R&D program at Fordo nuclear site at a much more extensive level than the Lausanne agreement allows, including R&D work on uranium enrichment for building next generation of centrifuges. All the differing interpretations of Lausanne agreement could be resolved if there were political will at the talks. But the negotiations that start on Wednesday could require much more time than the 30 June deadline allows for reaching the Joint Comprehensive Plan of Action (JCPOA), and that deadline could probably needs another extension. And the negotiators will first need to agree on what they had agreed in Lausanne.